Apartments for Sale in Cala Llombards | MONTEMAR S.L. The sea inlet Cala Llombards is an integral part of the municipality of Santanyí in Mallorca: Owning a property of one's own nearby is the dream of many expats. Of course, Santanyí is a particularly popular place to look for a villa or finca for sale. 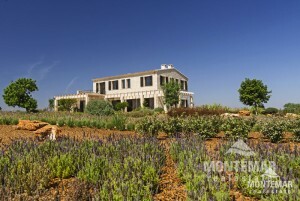 We are always up to date with the Montemar Real Estate - and we have your dream property in Mallorca for you. To reach Cala Llombards, take the main road from the MA-6100, a major arterial road around Santanyí, at Llombards towards Cala Llombards. If your new villa or finca is located directly in Santanyí, this is a distance of about three kilometres that will take you from home to this spectacular seaside resort. Not only the sunny Spanish climate and the blue sea are responsible for the well-being; couches and umbrellas, drinks and everything else the heart desires are available at Cala Llombards. Sites such as the magnificent Cala Llombards are the reason for the great interest in beautiful real estate around the municipality of Santanyí. We are always up to date with the latest developments regarding vacant objects and can certainly assist you.